Just a question about how many shoots next year will need shooters to be a member of an association. I did not get to many shoots this year and was hoping to get to one of the last 2 but they were member only shoots. I was hoping to get to more shoots in 2018 but this may limit that even more. I will make sure I ask the question of the club before I put the flyer up, that way everyone knows. I hope there are still some open shoots for me to go to. so do I Eddie, for many people in the same position as your good self. I do not believe it is a good move that people HAVE to join an association, regardless of cost, just to attend one or two trad shoots a year, (if they choose not to be a member of any club). How do clubs treat visiting archers, or do they have to join assn and club just to have a look. I would hope not. So isn't a visiting archer the same, whether they be in an association or not. Of course you are going to get those stalwarts who are going to go off the deep end - how dare we question things. The following link may help clarify your current situation and that of other archers. I believe the majority of clubs are affiliated with one of the above associations and have to abide by their rules. I believe TAA has since joined the Archery Alliance. Whilst working within the framework of the various association rules clubs still retain autonomy to have additional ‘club’ rules. As mentioned in the link it would be advisable to make prior contact with clubs you intend to participate at. yes thanks for the link Daryl, I lost 2 hours of my a couple of weeks ago reading all the Associations Constitutions and Rules of shoot ...... anyhoo that same article also mentions visiting archers, and allowing up to 4 visits per year before joining said club which is fair enough. Most Traditional Archers who are either members of independent clubs or no clubs only go to another clubs Trad shoot once a year, and you would also be aware of the club that your with, they allow visiting members to compete in Trad shoots. It has only become an issue in the last few months and a couple of clubs have felt the effect. "The intent of this policy is to allow AA, ABA and 3DAAA members to participate as visitors up to a total of 4 times in a year at another association’s clubs, (where clubs agree to allow visitors)." My interpretation of the above is that the archer is required to obtain membership in one of the associations i.e. 3DAAA, ABA, TAA or AA and not an individual club. I believe that most clubs have a visitors policy in place that can cover archers where unreasonable distances make it difficult for them to join their nearest club and attend on a regular basis. I have always said clubs have the right to make their own rules when it comes to their shoots. But there are some trad archers out there who are not members of any clubs for one reason or another and this will be one more reason for them not to attend trad shoots. I think this more about the associations i.e. 3DAAA, ABA, TAA or AA, trying to get everyone to join at least one of them, not the clubs doing. archerark, yes that is indeed, that club clearly do not have a visitor policy in place, so what do they do when newcomers want to have a go? Hi all in the litigious society we now live i find that clubs insist on being a member of a club / assn as they want all that participate in events to be covered by that associations insurance. What craps me off is that an AA club wont recognise a 3DAAA membership and so on. At the end of the day all associations that are members of the umbrella group Archery Alliance should be able to shoot at another clubs range be they AA, 3DAAA, whatever. Ian any member of ABA, 3DAAA, TAA, or AA is allowed as mentioned here in previous post , to attend several shoots at a given club under reciprocal rights, before having to join either that club or its Association.Keep posted for possible changes within Sunshine coast club re this very matter.Could be a real good thing. Will anyone coming to a trad shoot at the Sunshine coast club have to be a member of one of the Associations from now on? All we can do is wait and see if there are possible changes after the clubs Dec meeting. Lets keep our fingers crossed. wouldn't it be marvelous, to have one governing body, that we all merrily paid into, and then we could choose from the 4 "different" formats styles which we wished to attend ........... yeah right - that's not going to happen is it !!!! little arrows wrote: wouldn't it be marvelous, to have one governing body, that we all merrily paid into, and then we could choose from the 4 "different" formats styles which we wished to attend ........... yeah right - that's not going to happen is it !!!! Eddie, good news on the sunshine Coast club. We are now an ANAA club and not ABA which means ANYONE can visit, and shoot at our club on appropriate days as long as they sign the book at the gate on the way in and pay a daily shoot fee.We hope to have several trad shoots this year as well as 3D so everyone will be welcome.Looking forward to seeing a lot of people at our shoots. yet another archery association in Oz. History will repeat itself, folk will disagree and then we have yet another Association breaking off from them. Not for them, not against them. I am already a member of three archery groups. I have nothing against anyone shooting safely in their own paddock or even with a few friends but to paint the associations as the problem is a bit rich, especially when the solution is another association. As it gets harder to get access to suitable land, either private or government owned the risk analysts will ignore the fact that the sport has a great safety record [albeit there was a bit of a dark period for a couple of hundred years five hundred years or so ago]. saddest thing is we all should have more in common with each other and create that seamless bond.....but we do not. Whether you like them or not the various associations do more good than harm. They cost less than a couple of cups of coffee per week per year to fund. Archery is still one of the cheapest sports to play especially if you shoot bent green stick and especially if you shoot with a family. So it will be good to get to the sunny coast, hope to get to your next shoot. I read your post with interest and you make some fair and very good points. On the other side of the argument I would say that the existing associations seem to have quite restrictive rules and policies which is one reason why many people are not keen to join. eg the ABA has a blanket no dogs policy and a no bows and arrows in the clubhouse policy (at some clubs). So instead of a common sense approach to behaviour we have black and white rules that by their nature exclude some and mean someone has to be the "policeman" to enforce the rules. Most/All the existing associations promote a "no card no shoot" rule which again creates exclusion and discourages the very "more in common with each other" that you encourage and that I agree with. From what I know, the ANAA has a very inclusive nature (today, let's hope it stays that way)... limited rules and very little bureaucracy. Hopefully, true competition will exert itself and archers will join the association that provides the best environment for them. And then associations that are less inclusive will have to change their ways, rules and policies to keep members... and the $s and power that come from them. Or they will go the way of the dodo. Wouldn't it be great if all archers (regardless of the type of bow they shoot) saw the benefit of being part of the "more in common with each other" Aussie archery club? Many people go to a number of different archery "churches" probably because no one group will ever be able to cater for their client's needs. History would indicate that common sense is not that commonly appled hence the need in society for rules. In the abscence of rules anarchy and misdirection await. Perfect nor ever will be. It merely appeared to me that a slution for oroblems with associations was going to be solvedwith yet another association. You can have all the rules you want or no rules but unfortunately we have to rely upon common sense and good will. I am relatively happy with that in t,he Trad world b.ecause in the main it works. Having said that the rules based associations work well too. Different churches for different folks. The solution for one group appeared to be ironic, that is all. A simpler solution is ,to communicate with a small number of folk and organise a shoot with like minded unnaffiliated archers. Most archers I know travel huge distances to attend shoots. Many have very few to no choices nearby. If they continue to be involved, well done....another victory against the tyrrany of distance that we share in this big country. It is all about choices and the freedom to make your own decisions according to your needs and opportunities. temudjin wrote: Most/All the existing associations promote a "no card no shoot" rule which again creates exclusion and discourages the very "more in common with each other" that you encourage and that I agree with. Perhaps in this day and age where people will sue others at the drop of a hat the associations in the Archery Alliance of Australia are wanting to ensure all those attending shoots are fully covered insurance wise through public risk liability and personal accident insurance coverage for all authorised hunting, field, target and 3D archery activities undertaken by the association's affiliated clubs. I have not been to any shoots of late but looking on from the sides it appears that going this ANAA way is going to cause a bigger division as their members probably won't join any of the other four Archery Alliance of Australia associations so therefore won't attend any of the Traditional shoots (the majority of Traditional shoots in Australia) held by the affiliated clubs of those associations. Surely it is better to support the clubs that host the majority of the established Traditional Shoots in this country rather then cause this division? I may be reading the comments in this thread wrong and what I have just said isn't how it is so if that is the case please tell me. 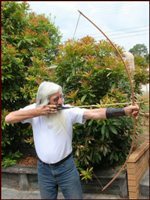 Lastly, TAA was established for the Traditional Archers in Australia and for just $10 a year membership you get full insurance cover and can then attend virtually any Trad Shoot in Australia and you also have coverage while hunting etc too. Seems the better way to go to me. that's not correct unfortunately. You can be a paid up TAA member and then still be told you must be a member of ABA to shoot at an ABA Club trad shoot. I have experienced this personally more than once. And I'm told the same thing applies at 3DAAA club trad shoots as well. One rider here... they are happy to have you pay the full shoot fee and shoot... just not be in the running for trophies unless you are a member of the association. 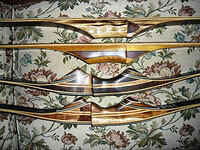 Most trad shooters I know are not in it for the trophies but regardless it's a bit rich isn't it? Why should I pay the full shoot fee if I'm not really welcome? In fact, if I'm not welcome I'll go somewhere that I am. So much for the supposed benefits to archers of the Archery Alliance!